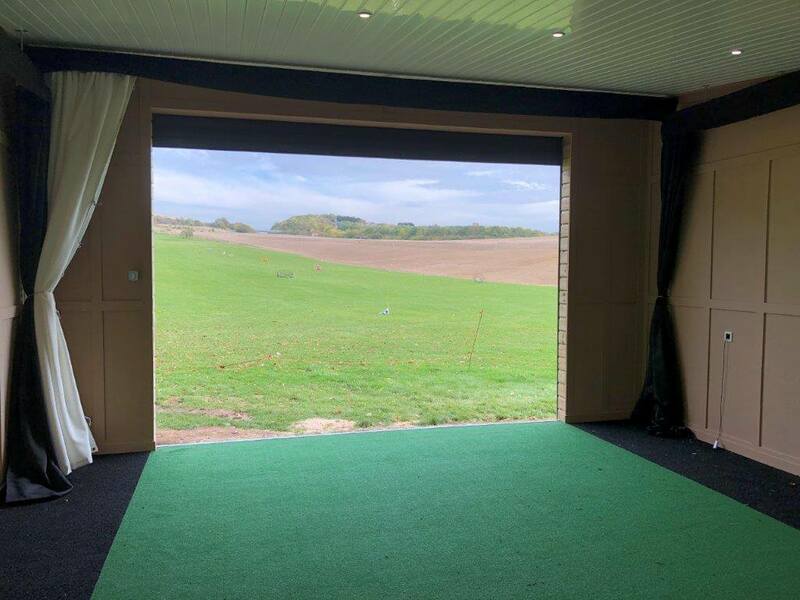 Home / Blog / Retractable Screen Installed at West Hove Golf Club. 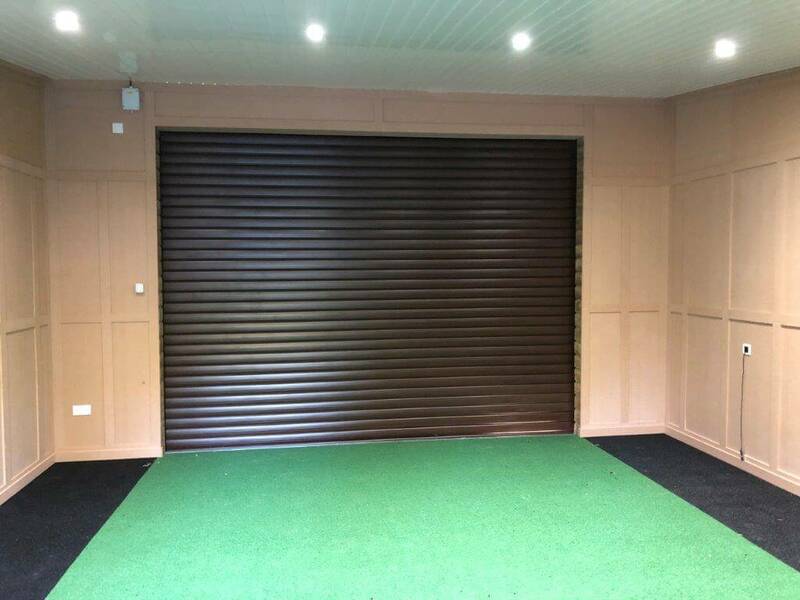 Retractable Screen Installed at West Hove Golf Club. 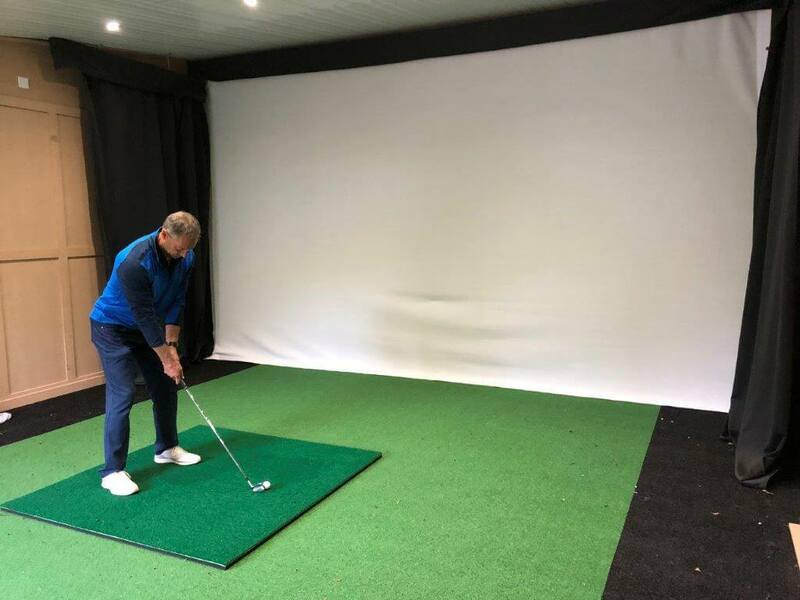 Ryan Fenwick PGA has had a new studio built at West Hove Golf Club and it has a roller shutter to it. 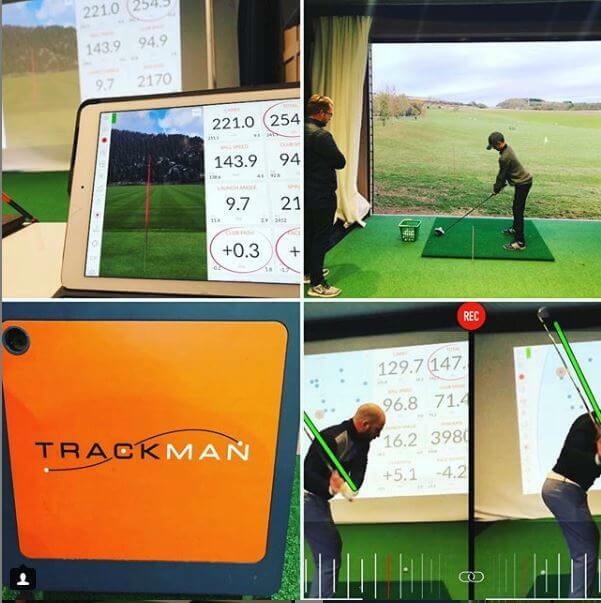 Ryan is investing in Trackman and wanted a screen that was retractable across the roller shutter that could be projected onto it when the weather is bad. 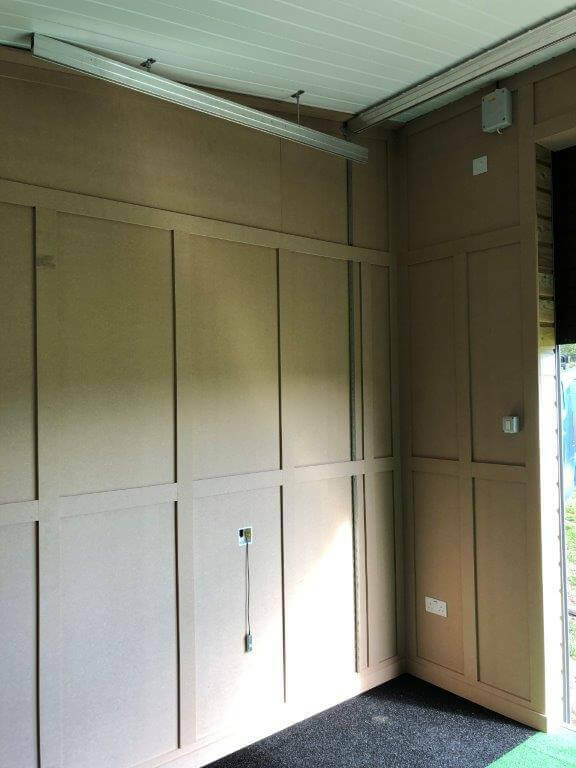 This is what we provided.This is the track and galvanised angle going up on the ceiling wall to wall. 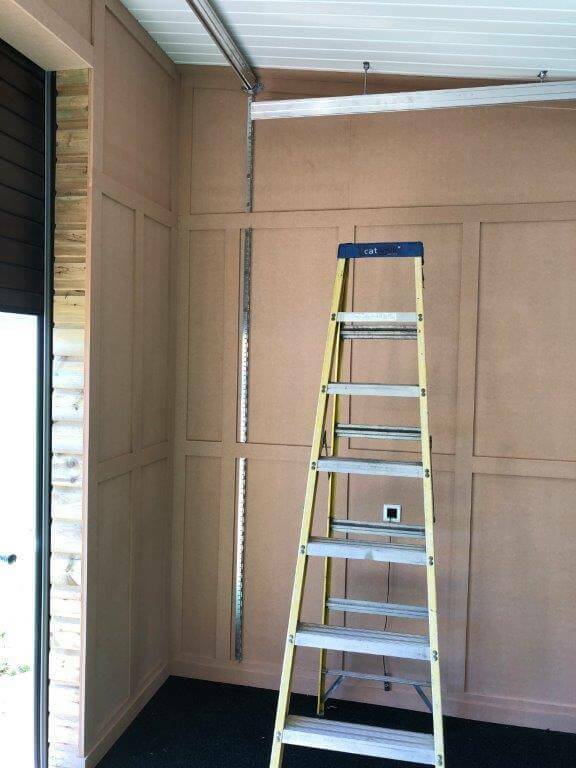 The galv angle on the side walls are there to provide tension to the screen when you hit into it. 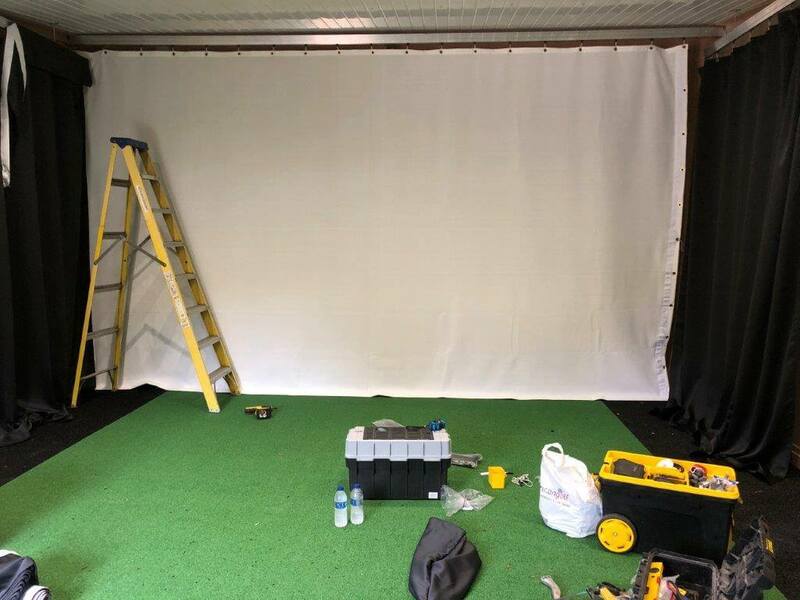 Once the track is up we can then hang the screen and side curtains. 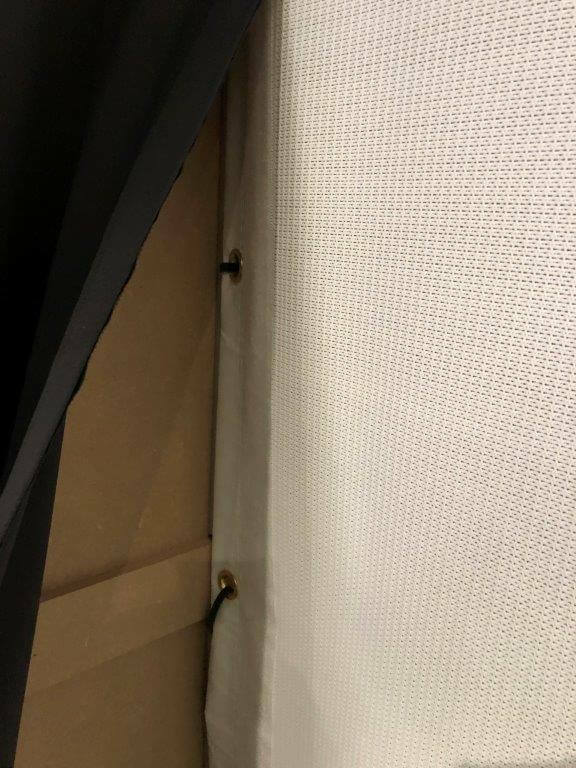 We secure the side curtains to the screen using velcro sewn in on the screen and curtains. The track is covered in material as wel to give it a cinematic finish.